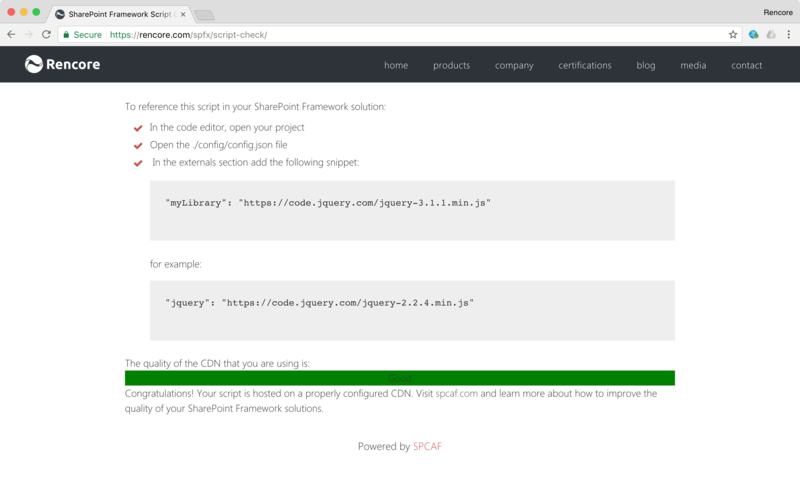 Using Rencore Script Check you can easily reference external libraries in SharePoint Framework solutions the right way. Additionally, you can ensure, that the CDN they are using is well performing. Here is how it works. 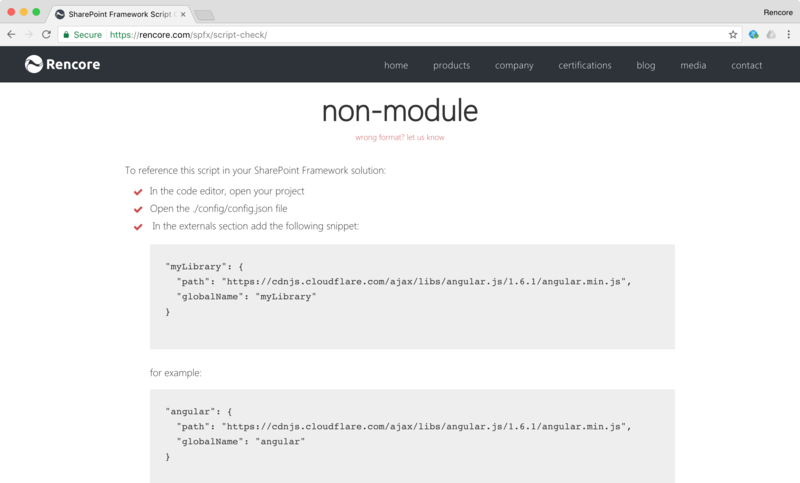 Recently, Microsoft released the SharePoint Framework to general availability – a new development model for building SharePoint customizations. Using the SharePoint Framework developers can build rich solutions that work across all devices. Rencore Script Check not only detects the format of the library you want to reference but also provides you with instructions and a sample code snippet to use to correctly reference the particular library in your project. At Rencore we want to help our customers be more successful with using SharePoint and Office 365. 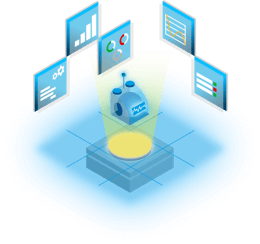 Using our analysis solutions, our customers reduce risks when customizing SharePoint and Office 365 and ensure that their customizations work optimally to deliver the desired added value. 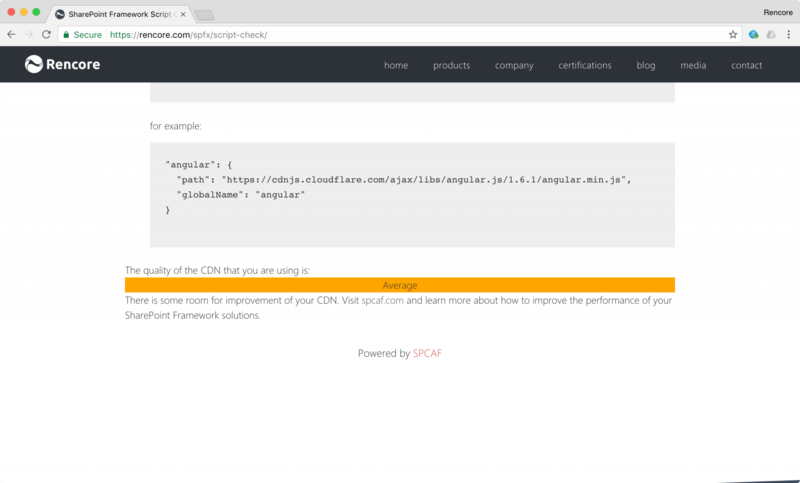 The CloudFlare CDN on the other hand, used in this example to serve Angular, leaves some room for improvement. 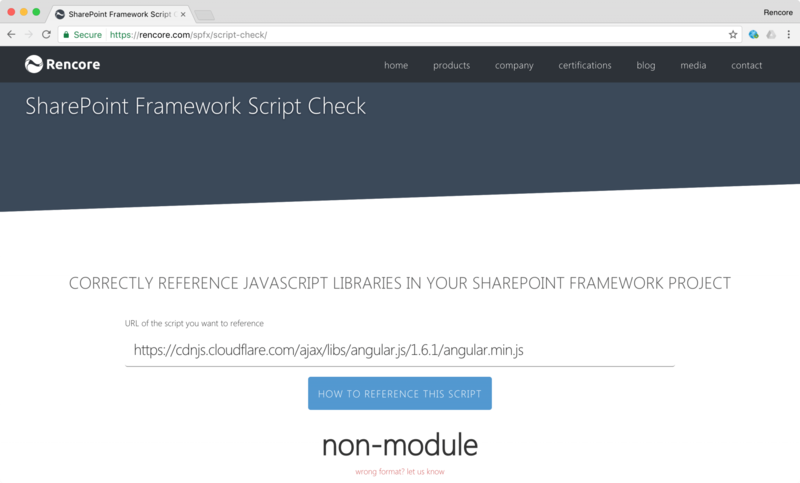 Rencore Script Check is free to use and we hope that it will make SharePoint Framework solutions work faster. If you would like to know more about the different criteria we use to analyze SharePoint customizations, go to rencore.com/spfx and try SPCAF.